This Moisturizer really benefits the skin. Thanks to a unique combination of protecting, soothing, strengthening and sebum regulating substances in high concentrations, the skin will return to optimal functioning. It has been established that Vitamin C strengthens the skin and limits sun damage. This antioxidant also helps reduce acne, pigmentation spots and rosacea. Vitamin E increases the effectiveness of Vitamin C and vice versa. Finally, the high concentrations of Niacinamide and liquorice root extract soothe the skin, regulate the production of sebum and also reduce pigmentation spots. Oily skin requires less Moisturizer than dry skin. In both cases is important that you apply a thin layer over your whole face. In the daytime the Toner can replace the Moisturizer on the very oily parts of the skin (e.g. the T zone). 3. I have very oily and sometimes unsettled skin. Is the Moisturizer necessary? In oilier and unsettled skin the sebum production and barrier function are not in balance. Use of the correct products, including a Moisturizer, can restore this balance. The Moisturizer for normal to oily skin contains high concentrations of soothing and sebum regulating ingredients. You can, in the daytime, omit the Moisturizer if you wish after applying the Toner for normal to oily skin onto the very oily parts of the face (this is usually the T-zone: chin, nose and forehead). Apply the Moisturizer to the less oily parts of the face only during the day. At night apply the Moisturizer over your entire face. 5. 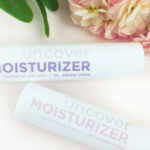 Can the Moisturizer reduce my wrinkles? 6. Is the Moisturizer also suitable for young or, likewise, mature skin? It is important to look at the needs of the skin instead of just the age. If your skin is oilier and/or very unsettled, then choose the Moisturizer for normal to oily skin. This contains more soothing and sebum regulating ingredients than the range for normal to dry skin. 7. Why is there no separate day and/or night cream?